After a strong performance in 2016, the Finnish M&A market remained active in 2017. The second half of 2017, with 68 announced deals according to data compiled by Mergermarket, showed a slight decrease compared to the 80 deals announced in the second half of 2016. Although the number of deals fell, the aggregate disclosed deal value for announced acquisitions of Finnish targets increased to approximately €5.8 billion in the second half of 2017, compared to €1.9 billion in the second half of 2016. The high value in the second half of 2017 was due mainly to the acquisition of Elenia, a Finnish power distribution company, by Allianz, Macquarie and the State Pension Fund of Finland for €4 billion, announced in December 2017. In general, the deal-making environment has started to reach the levels it was at before the 2008 financial crisis. Strong growth in the Finnish economy, following a sustained period of low and even negative growth, has supported optimism in the Finnish M&A market. The availability of financing remained relatively good. The first half of 2018 has seen continued strong activity, although it has decreased slightly, with 82 deals announced. The aggregate disclosed deal value for announced acquisitions of Finnish targets decreased from approximately €12.6 billion to approximately €2.7 billion. The high value in the first half of 2017 was due mainly to Blackstone Group's €3.6 billion tender offer for Sponda Oyj, the Finnish listed real estate investment company, and the €6 billion combination of Finnish pensions insurance companies Ilmarinen and Etera, both announced in July 2017. The activity level is expected to remain high despite a number of uncertainties. Many deals are still being prepared and negotiated quite extensively, and the number of failed or significantly delayed structured sales processes has remained relatively high. The Finnish legal system derives from the Nordic legal tradition, which itself is based on the German civil law tradition. Historically, agreements have been relatively brief, leaving room for interpretation in accordance with contract law principles and market practice. However, during the past few decades, agreements (and in particular acquisition agreements) have become more detailed and have started to resemble Anglo-American acquisition agreements. The manner of carrying out a takeover of a Finnish company depends primarily on its ownership structure and whether the company's shares are listed or unlisted. The ownership of most Finnish private companies is concentrated. Even in many listed companies, the majority of shares are held by a relatively small group of shareholders. Therefore, negotiations with the majority shareholders are often important in both public and private takeovers, and irrevocable undertakings from major shareholders may be decisive for the success of a public offer. The legal framework applicable to public takeovers varies considerably from the regulation of private transactions. Contrary to private deals, takeovers of listed companies are subject to fairly detailed rules. Regulation of Finnish public takeovers essentially consists of the rules applicable to public takeovers included in Chapter 11 of the Securities Markets Act (SMA), regulations and guidelines on takeover bids and the obligation to launch a bid (Regulation 9/2013) issued by the Finnish Financial Supervision Authority (FSA), which entered into force on 1 July 2013 and replaced the FSA Standard 5.2c, as well as the revised Helsinki Takeover Code issued by the Takeover Board of the Securities Market Association, which entered into force on 1 January 2014 and replaced the Takeover Code of 2006. The current SMA entered into force at the beginning of 2013. Chapter 11 of the SMA sets out, inter alia, the general requirement to treat holders of each class of securities subject to the offer equally, the general structure of the offer procedures, rules on publication of the offer and disclosure obligations, the requirement to make a mandatory offer, pricing of offers and rules on competing offers. There is a dual mandatory offer threshold, which is exceeded when the bidder, and its affiliated parties, obtains more than 30 per cent or more than 50 per cent of the voting rights in the target. No mandatory offer will be required if the relevant thresholds are exceeded as a result of a voluntary offer made for all shares and securities entitling to shares in the target. Public offers are monitored by the FSA, which is authorised to interpret the relevant statutory provisions and issue regulations and guidelines. Regulation 9/2013 supplements the statutory rules and sets forth the FSA's interpretation of the relevant provisions of the SMA. Regulation 9/2013 contains more detailed rules on matters such as the takeover procedure, disclosure obligations and pricing. Furthermore, the rules and regulations of NASDAQ OMX Helsinki regulate, inter alia, the trading in securities in connection with public transactions. If the consideration consists of securities, the rules of the SMA relating to public offerings and the listing of securities may also become applicable. Under the EU prospectus regime, an EU listing prospectus may be used in exchange offers in Finland if the consideration consists of securities listed in Finland or in another EU Member State. In such cases, the offer document will also have to comply with the EU Prospectus Regime. Another source of law is the Companies Act, which sets out general principles of company law and provides the regulatory framework for corporate reorganisations and squeeze-outs. Under the Companies Act, a squeeze-out procedure can be initiated by a shareholder holding, either directly or indirectly through a group company, more than 90 per cent of the shares and votes of a company. A shareholder whose shares can be redeemed also has a right to require that the majority shareholder redeems that shareholder's shares. The redemption price in a squeeze-out is the fair price. If the 90 per cent threshold is exceeded as a result of a voluntary or mandatory public offer, the offer price is regarded as the fair price unless there are special reasons for deviation from that price. If the bidder intends to exercise the squeeze-out right upon reaching the legal threshold through a tender offer, that intention should be disclosed in the offer document. The squeeze-out is effected through arbitration proceedings, which are usually initiated by the majority shareholder against all other shareholders. Whereas the takeover of a listed company follows a rather rigid statutory procedure, the acquisition of a private company can be structured more freely. With regard to private transactions in particular, there are few processes involving notaries and government officials. As a result, few formal requirements exist concerning documentation governing the transfer of a business regardless of whether it is transferred through an asset or a share deal. With regard to defensive action, the board of the target company has a general obligation under Finnish company law to act in the interests of the target company, with particular regard to the interests of the shareholders. In line with this general obligation, Chapter 11 of the SMA provides that the board is generally obliged to seek shareholder approval for defensive action that may frustrate a tender offer. Finland has resolved to opt out of the breakthrough rule contained in Article 11 of the Takeover Directive. Breakthrough rules may, however, be voluntarily adopted by listed companies in their articles of association. To date, these provisions have not been adopted by any listed company. Finnish law severely restricts financial assistance. Under the Companies Act, a Finnish limited liability company may not grant any loan, grant any security for a loan, give any guarantee or assume any other liability the purpose of which is to finance an acquisition of the shares in the company or the shares in its parent company. A breach of the financial assistance rule may lead to, inter alia, personal liability for the members of the board of directors. 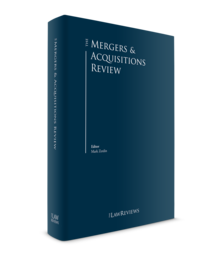 In practice, alternative structures, such as merging the target company into the acquirer after the initial transaction, are used to facilitate intragroup financing arrangements in connection with acquisitions. The current SMA entered into force at the beginning of 2013. It includes certain rules applicable to public offers for securities. The amendments introduced in the 2013 SMA derive mainly from the Takeover Directive. Among the key amendments, a revised definition of persons acting in concert was introduced into law, mirroring that included in the Takeover Directive. Accordingly, natural or legal persons are regarded as acting in concert if, on the basis of an agreement or otherwise, they cooperate with a shareholder, the bidder or the target company with a view to exercising or acquiring significant influence in the company or frustrating a public offer. In addition, related parties, such as group companies, are regarded as persons acting in concert. Also, a bidder's obligation to promote the fulfilment of a public offer is now expressly stated in the SMA, in line with the general principles of the Takeover Directive. Under this rule, the bidder may not prevent or substantially hamper the fulfilment of the bid or its conditions. The FSA has the right to impose on a potential bidder a deadline for launching a public offer ('put up or shut up'). Such a deadline can be imposed on the target company's application in a situation where a potential bidder has publicly stated that it is considering launching a public offer. In cases where the potential bidder does not launch a bid, it can be prevented from doing so during the following six months. To ensure sufficient protection of target shareholders, shareholders have the right to withdraw their acceptance until the bidder has announced that all the conditions of the bid have been fulfilled or waived. With regard to unconditional bids, the acceptance can be withdrawn if the bid has been valid for 10 weeks and the purchase transactions have not been effected. The SMA provides for two exceptions from the obligation to launch a tender offer for all shares in the company. First, significant shareholders are permitted to launch a conditional consortium bid: if the mandatory bid obligation is triggered merely as a result of shareholders acting in concert in launching a voluntary offer, the shareholders are exempted from the mandatory bid obligation, provided that their acting in concert is limited to the voluntary bid. Second, no mandatory bid obligation will arise if a shareholder, or a party acting in concert, disposes of the number of voting rights exceeding the mandatory bid threshold within one month of the mandatory bid obligation arising. Furthermore, following an amendment to the SMA implementing the EU resolution and recovery regime, no mandatory bid obligation will arise if the threshold for a mandatory bid obligation is exceeded as a result of the Financial Stability Authority having exercised its resolution implementation authority. The SMA requires all listed companies to be members of a common organisation, the purpose of which is to develop good securities market practice. In connection with the entry into force of the SMA, the former Takeover Panel was closed down, and as of January 2013, the renewed Securities Market Association has taken care of issuing recommendations and opinions to promote compliance with good securities market practice. The Association has also established the Takeover Board to promote good securities market practice in connection with takeover bids. Furthermore, an application can now be made to the Takeover Board for a statement regarding the interpretation of the Helsinki Takeover Code, compliance with good securities markets practice and individual company law issues. In December 2013, the Takeover Board issued the new revised Helsinki Takeover Code, which entered into force on 1 January 2014 and replaced the Takeover Code of 2006. Compliance with the Takeover Code is based on a 'comply or explain' principle; in a tender offer, both the target company and the bidder have an obligation to confirm whether they comply with the Takeover Code, and to publicly explain if they are not committed to complying with the Takeover Code or some of its individual recommendations. The private M&A market is an integrated part of the Nordic and international private M&A market. This is reflected in Finnish market practice and the procedures followed in Finnish private transactions. Even purely Finnish transactions are often prepared, negotiated, drafted and executed in ways that are similar to those in the international marketplace. A large number of Finnish transactions have a cross-border element, as foreign ownership of Finnish businesses continues to increase. The financial crisis significantly decreased the use of structured sales and auctions in the Finnish market, but in recent years structured sales and auctions have made a strong comeback. As the Finnish market is relatively small, Finnish companies frequently engage in M&A transactions abroad, both as sellers and buyers. Foreign buyers are, on the other hand, frequently involved in the Finnish market on the buy side. As in other Nordic countries, the legal advisory market concentrates on domestic firms. The same goes for domestic or Nordic banks, which handle a large share of the financial advisory mandates. However, the largest transactions frequently involve large international investment banks, complemented by local Finnish players. One of the largest transactions ever to involve a Finnish company was announced in September 2017 when Fortum Oyj launched a hostile tender offer to acquire Uniper SE, the Germany-based conventional power generation and energy trading business company. To date, Fortum has obtained a 47.12 per cent stake in Uniper for €3.8 billion, mainly comprising shares sold to Fortum by E.ON SE. Asiakastieto Group Plc, the Finland-based listed provider of commercial and credit reports, acquired its Swedish peer UC AB for €325 million as a combination of cash and shares (announced in April 2018). In general, acquisition activity abroad by Finnish companies has been relatively high during the past 12 months, with Finland-based companies actively seeking international growth, mainly through smaller acquisitions. Private equity (PE) investors remained relatively active during 2017 and the first half of 2018. The amount of PE and venture capital (VC) investments into Finnish companies decreased to approximately €114 million in 2017 in the aggregate, according to data from the Finnish Venture Capital Association. The total number of investments by PE and VC funds into Finnish companies in 2017 was 118.
Notable PE transactions included the acquisition of Mehiläinen, the Finland-based provider of healthcare and social services, by CVC and Finnish institutional investors for an estimated €1.8 billion, announced in May 2018. In another major transaction, announced in October 2017, CVC sold Paroc Group, the Finland-based insulation producer, to Owens Corning, a US-based building materials company, for €900 million. In addition, there were a number of smaller transactions. Many PE investors are expected to seek to exit portfolio companies already held beyond the planned investment horizon and to invest committed capital. In recent years, the trend in sales processes has moved towards a higher level of differentiation in terms of structure, with the popularity of large-scale controlled auctions decreasing, and the focus remaining on more concentrated efforts with a limited number of bidders. The largest public-to-private transaction during 2017 and 2018 to date was Blackstone Group's €3.6 billion tender offer for Sponda Oyj, the Finnish listed real estate investment company, announced in July 2017. One other notable transaction was CGI Group's €104 million public tender for Finnish IT solutions provider Affecto, announced in August 2017. No major hostile offers have been seen on the Finnish market since Nordic Capital's unsuccessful €1.1 billion offer for TietoEnator in 2008. However, one minor unsuccessful hostile offer occurred in November 2016 when Sistema Finance, a subsidiary of the listed Russia-based diversified holding company AFK Sistema, announced its offer to acquire Honkarakenne, the listed Finland-based housing construction company, against cash consideration of €7.8 million. Activity in the healthcare sector has remained strong and the expected growth in future spending in the public health and social services sector, together with the government's planned social and healthcare reform, has resulted in numerous deals and a strong pipeline. However, uncertainty in the market has increased because of repeated delays to social and healthcare reform, mainly caused by disagreements between the political parties represented in the current government. In addition to the acquisition of Mehiläinen, the Finland-based provider of healthcare and social services, by CVC and Finnish institutional investors for an estimated €1.8 billion (announced in May 2018), notable transactions during 2017 and 2018 include the €233 million acquisition of the Finnish healthcare operations of Attendo AB (publ), the listed Swedish health and social care company, by Terveystalo Oyj, the listed Finnish healthcare provider (announced in May 2018). In the medical device sector, Axcel, the Danish PE investor, acquired Orion Diagnostica Oy, a Finnish diagnostic and hygiene monitoring products manufacturer, for €163 million. There was also a significant number of smaller transactions. Deal activity in the information technology sector has remained quite high during 2017 and 2018. In addition to CGI Group's €104 million public tender offer for Affecto announced in August 2017, major transactions included the €165 million acquisition by Telia AB (publ), the listed Swedish telecom operator, of Nebula, the Finnish web services provider, from Ratos AB (publ), the listed Swedish PE investor (announced in May 2017). Activity in the energy and infrastructure sector, which experienced a slight fall last year, seems to be growing once again. The largest transaction to date in the Finnish energy and infrastructure sector was seen in December 2017 when Allianz, Macquarie and the State Pension Fund of Finland announced their acquisition of Elenia, the Finnish electricity, heat and gas distribution company, for €4 billion. There were also several smaller transactions in the sector. Transaction activity in the Finnish paper and pulp sector received a notable boost with Mondi's acquisition of Powerflute, a Finnish manufacturer of specialised semi-chem fluting, and Harvestia, a Finnish wood procurement company, in a deal valued at €365 million, announced in December 2017. In May 2016, the government announced its renewed ownership steering strategy, the main objective of which is to use invested capital to increase growth through, inter alia, the disposal of all or part of the government's stake in certain wholly or majority owned companies. The government has planned further disposals of stakes in certain companies, including Neste, the listed oil refining company, Vapo, the bio-energy company, and Posti Group, the Finnish postal service and logistics company. Additionally, speculations regarding the sale of all or part of the government's stake in the Finnish airline carrier Finnair continue to make headlines in the media. The industrial products and services sector also witnessed strong activity in numbers of acquisitions. In addition to CVC's €900 million sale of Paroc Group to Owens Corning, notable transactions included CapMan's acquisition of KotiSun, a Finland-based company providing renovation services for water and heating systems, for €88 million. Domestic and Nordic banks have traditionally provided acquisition finance for Finnish transactions. However, large international banks are regularly involved in larger deals and have returned to the Finnish market, although not yet to the extent seen before the financial crisis. While Nordic banks may face lending constraints in the future because of increased bank regulation, the current market sentiment seems to be that they have a fair amount of capacity to finance transactions and that there is actually too little demand for financing. The 2017–2018 period indicates that Nordic banks are still willing to provide financing, at least for mid-sized transactions, in particular for deals in 'hot' industries. In terms of covenants, however, the Finnish market has not to date witnessed a proliferation of 'covenant-lite' loans without maintenance-based financial covenants. High-yield and other corporate bonds have generally increased in importance as a financing source for larger companies. Recently, bonds have been issued in a number of refinancing transactions and for general corporate purposes. In the future, more PE sponsors are expected to tap the high-yield bond market, particularly as a source of refinancing existing portfolio company debt. The absence of maintenance-based financial covenants is often cited by PE sponsors as a key benefit of high-yield bonds, although it should be noted that, with the exception of a few bonds issued by PE-backed companies, Nordic high-yield bonds' terms tend to contain maintenance-based financial covenants. Finally, there is a trend towards an increasing number of non-bank loan investors in the leveraged buyout market, including assets managers, hedge funds and collateralised loan obligations. The majority of those investors are from outside the Nordic countries. A transfer of business under the Finnish Employment Contracts Act corresponds to the transfer under the Acquired Rights Directive (2001/23/EC). The basic requirement for a transaction or arrangement to constitute a transfer of business is that the subject of the transfer is an economic entity (i.e., an organised grouping of resources that has the objective of pursuing an economic activity) and that it retains these characteristics after the transfer. Supplementary operations may also be subject to a labour law business transfer. The transfer is mandatory and automatic. It does not require the entry into new employment contracts or other agreements with the transferring personnel, and they cannot effectively object to the transfer. The employees transferring to the transferee are those at the service of the business concerned at the time of the transfer. According to the Finnish Cooperation Act, which applies to companies regularly employing at least 20 employees, the transferor and the transferee have a joint obligation to provide the employee representatives concerned with information regarding the timing of the transfer, the grounds for the transfer, the legal, financial and social consequences of the transfer to employees, and the planned measures concerning the employees. The information shall be provided well in advance of the transfer of business; generally, one to two weeks before the transfer is deemed sufficient, depending on the size of the transaction and its impact on the personnel. After the transfer, the transferee needs to make sure that the transferred personnel have been provided with the requisite information within a week of the transfer. It should also be determined whether the transfer has effects on the personnel that should be handled in full-scale cooperation consultations. If there are no such effects, the transferee has no further transfer-related consultation obligations towards the personnel. The procedure is the same irrespective of how many employees will transfer. The main driver for choosing the form of transaction is taxation. Finland has implemented the provisions of the Merger Directive (90/434/EEC) and, accordingly, certain transactions such as share-for-share acquisitions can be carried out without triggering capital gains taxation. An asset deal is typically preferable from the buyer's perspective, since the buyer may obtain a step-up in tax basis and depreciate the acquired assets (including goodwill). However, losses cannot be transferred in an asset deal. The sellers typically prefer share deals, as a capital gain is often tax-exempt in a share deal. An asset deal may be preferred by a seller with carry-forward tax losses, or if the sale resulted in a loss. A buyer cannot depreciate the acquisition cost (including goodwill) in a share deal. The tax loss carry-forwards of the target may be lost in a share deal. Transfers of shares and other securities in Finnish companies are subject to a transfer tax of 1.6 per cent of the sale price (2 per cent for transfers of securities in a real estate company). The sale price is deemed to include any payments made, or obligations assumed, by the transferee to or for the benefit of the transferor. Transfers of securities between non-residents are generally exempted from the transfer tax unless the securities are issued by a Finnish real estate company. In addition, transfers of securities in a foreign real estate holding company are subject to the transfer tax if the assets of the foreign company mainly comprise real property (directly or indirectly) located in Finland, and either the transferor or transferee is Finnish. In addition to securities, a transfer tax at a rate of 4 per cent is levied on the transfer of real property. Where the consideration consists of securities, other than newly issued shares, the transfer tax is levied on the transferred assets and the consideration. Certain corporate restructurings, such as the transfer of a business against share consideration, are exempt from the transfer tax. Certain transfers of listed shares on the stock exchange are also exempted from the transfer tax. An asset deal is not subject to VAT if it is treated as a transfer of a business as a going concern, the transfer is made to the buyer and the buyer starts using the assets in a business subject to VAT. No VAT is payable upon a transfer of shares in a share deal. Acquisitions are typically carried out through a local, newly established and leveraged acquisition vehicle (a limited liability company or a branch). Specific interest limitation rules limit the deductibility of net interest expenses on intragroup loans to the extent that the total net interest expenses (including third-party interest expenses) exceed 25 per cent of the borrower's fiscal EBITDA.2 The limitation does not apply if total net interest expenses for the year do not exceed €500,000 (including third-party interest expenses) or the company's equity ratio is at the level of or higher than the equity ratio of the group. The Finnish Supreme Administrative Court (SAC) has confirmed in a ruling that a comparison is to be made regarding the consolidated financial statements of the foreign ultimate parent company as opposed to the Finnish subgroup parent company even if the foreign ultimate parent company is not obliged to prepare consolidated financial statements pursuant to an exception under local law. Financial institutions and certain other companies are outside the scope of the interest limitation rule. The currently applicable specific interest limitation rules will be amended following implementation of the Anti-Tax Avoidance Directive (2016/1164/EU). As of 2019, among other changes, third-party interest expenses will also be subject to the interest limitation rules. The SAC has recently issued two rulings in which the right to deduct interest costs within a group of companies was limited pursuant to the general anti-avoidance rule. In both cases, the Finnish branch of an international group was not able to deduct interest costs on a loan related to an intragroup share acquisition paid by the branch to a foreign group entity. The rulings are expected to affect, at least, the interpretation of branch structures used in intragroup share acquisitions. Otherwise, arm's-length interest expenses on acquisition debt are generally tax deductible. There is generally no withholding tax on interest payments made to non-residents. When certain conditions are satisfied, one group member can transfer profits to another member by way of a tax-deductible group contribution, which constitutes taxable income for the recipient. The preconditions include a minimum ownership by the (common) parent of 90 per cent of the share capital in the subsidiary (subsidiaries) that has lasted the entire fiscal year, the fiscal years ending simultaneously as well as both parties carrying out business activities. Group contributions to foreign group members are not deductible. Capital gains are generally taxable for resident individuals at 30 per cent, or 34 per cent for taxable capital income exceeding €30,000. In the case of corporations, capital gains are generally included in the taxable income. The general corporate income tax rate is 20 per cent. Capital gains from transfers of shares classified as fixed assets are tax-exempt for corporate shareholders, as a general rule, provided that the shares represent at least 10 per cent of the share capital of the target and have been held for at least 12 months. However, PE investors have been excluded from the scope of the capital gains tax exemption. Capital gains realised by non-resident shareholders are generally not taxable in Finland under domestic rules, unless the shareholding relates to a business carried out in Finland, for example, through a permanent establishment, or if the shares are shares in a real estate company. Dividends received by corporate shareholders are generally tax-exempt. The exemption applies to (1) domestic dividends, (2) dividends from resident companies of other EU Member States referred to in Article 2 of the EU Parent–Subsidiary Directive (2013/13/EU) and (3) dividends from other EEA resident companies, provided that the company is subject to a minimum of 10 per cent tax on its income. Specific rules apply to financial, insurance and pension institutions. Furthermore, dividends received by an unlisted company from a listed company are fully taxable at 20 per cent, unless the unlisted recipient company directly holds a minimum of 10 per cent of the capital of the distributing listed company. Dividend income is fully taxable at 20 per cent in cases other than the aforementioned if no exemption is provided under a tax treaty. However, dividend income is fully taxable if the dividend has been deductible for tax purposes for the distributing company, or if it relates to arrangements that are not genuine and have been put in place for the purpose of obtaining a tax advantage. Dividend income received by resident individual shareholders from domestic listed companies is partly taxable (85 per cent) and partly exempt (15 per cent). The taxable dividend income is taxed as capital income at 30 per cent, or at 34 per cent when taxable capital income exceeds €30,000. The taxation of dividend income received by resident individual shareholders from domestic unlisted companies is determined based on an annual return of 8 per cent of the net value of the shares. As a general rule, within the 8 per cent annual return, dividend income is partly taxable (85 per cent) as capital income and partly tax-exempt (15 per cent). However, up to an amount of €150,000, only 25 per cent of the dividend income is taxable as capital income. To the extent that the dividend income exceeds the 8 per cent annual return, 75 per cent of the dividend income is taxable as earned income at progressive rates and 25 per cent is tax-exempt. Foreign corporate shareholders are generally subject to a withholding tax at a rate of 20 per cent on dividends. However, dividends are not subject to withholding tax if paid to a corporate recipient covered by Article 2 of the Parent–Subsidiary Directive (2013/13/EU) that holds more than 10 per cent of the distributing company's share capital, or an EEA-resident corporate recipient that cannot obtain a credit for the withholding tax, and the dividend, if paid to a Finnish-resident corporate recipient, had been tax-exempt. Further, the level of withholding tax is generally reduced to between zero and 15 per cent under Finland's tax treaties. As a general rule, losses can be carried forward and used up to 10 years after the year in which they arose. However, losses incurred by a company are not carried forward if a change of more than 50 per cent in the ownership occurs. The rule also applies in the case of an indirect ownership change. An exemption may be granted by the tax authorities. Merger control rules are set out in the Finnish Competition Act, which entered into force in November 2011. If the EU Merger Regulation does not apply, a transaction must be notified to the Finnish Competition and Consumer Authority (FCCA) if the aggregate worldwide turnover of the parties (i.e., usually the acquirer and the target) exceeds €350 million and each of at least two of the parties has a Finnish turnover of at least €20 million. Finnish turnover means sales to customers located in Finland irrespective of whether the seller has any physical presence in Finland. Notification must be submitted after entering into a concentration agreement, acquisition of control or an announcement of a public offer, and in any event before closing the transaction. It is also possible to notify the transaction as soon as the parties have, with a sufficient degree of certainty and sufficiently specific terms, proven their intention to conclude the transaction, for instance, with a signed letter of intent. A notified transaction may not be implemented before clearance unless the FCCA grants an exemption. The FCCA applies the significant impediment to effective competition test in line with the EU Merger Regulation. The Market Court3 may, if proposed by the FCCA, prohibit a transaction, order it to be cancelled or impose conditions if the concentration would significantly impede effective competition in Finland or in a substantial part thereof, particularly as a result of the creation or strengthening of a dominant position. The FCCA will decide within one month of submission of the notification to either approve the transaction or begin an in-depth investigation. The in-depth investigation may last for three months (but may be extended by two months). The FCCA can extend the investigation period if the parties to the transaction do not submit the required information to the authority, or if the information is significantly incomplete or inaccurate. In May 2018, the government issued a proposal to lengthen the time period of Phase I proceedings from one month to 23 working days. Consequently, if the proposal is passed, the time period for Phase II proceedings would be amended from three months to 69 working days. If the FCCA wishes to prohibit the transaction, it is required to make a proposal to that effect to the Market Court, which will decide on the issue. The Market Court's decision can be appealed to the SAC. The notifying party, however, is not entitled to appeal a conditional approval decision of the FCCA to the Market Court. In connection with the pending planned social and healthcare reform, the government has proposed the introduction of a temporary notification obligation applicable to all transactions involving companies providing social and healthcare services. The amendment would impose an obligation to notify concentrations, irrespective of thresholds in the Competition Act, when at least one party provides social or healthcare services or laboratory services to customers in Finland. The general short to medium-term outlook is positive, as the deal pipeline is currently strong. However, the expectation is that M&A activity will begin to stabilise, both for larger structural deals and for small and mid-cap transactions, and further acceleration seems unlikely. Financial sponsors have been more active in the markets than at any time since the financial crisis and are expected to remain active. The amount of the funds already raised but not yet invested continues to be significant. On the other hand, financial sponsors are likely to be under increased pressure to dispose of portfolio companies already held beyond the planned investment horizon, even in the face of lower valuations. Many potential industrial buyers continue to be in a strong financial position and to seek investment targets. After a lengthy process, the Finnish government's reform of public social and healthcare services is beginning to take its final form. It is expected to enter into force at the beginning of 2019 if passed in Parliament. As part of the reform, the responsibility for organising social and healthcare services would transfer from municipalities to counties and partially open up the public case social and healthcare market to private providers. As a result, consolidation in the social and healthcare sector is expected to continue. After remaining quiet for several years, the initial public offering (IPO) market has seen an upswing in the past couple of years, with 2015 being the most active year in terms of IPOs since the financial crisis and activity showing no signs of slowing down. In the second half of 2016, one of the largest listings in years was that of DNA, Finland's third-largest telecommunications operator, which was added to the main list of NASDAQ OMX Helsinki. There were 13 listings in 2017, the largest of which where Rovio, the online game developer and entertainment company owning the Angry Birds franchise, and Terveystalo, one of the biggest Finnish healthcare providers. The first half of 2018 has seen somewhat more limited listing activity compared to 2017, one noteworthy exception being the IPO of Altia, the leading Nordic alcohol manufacturer. Nevertheless, IPO activity is expected to remain strong, especially since PE firms' portfolios contain several companies that are considered suitable listing candidates. Generally, investor confidence appears to have remained at a good level, and stock market valuation levels remain attractive. The overall development of the share prices of Finnish companies listed on NASDAQ OMX Helsinki has been positive since early 2016. 1 Jan Ollila is senior partner, Wilhelm Eklund is a partner and Jasper Kuhlefelt is a senior associate at Dittmar & Indrenius. 2 EBITDA = earnings before interest, taxes, depreciation and amortisation. 3 The Market Court is an independent and impartial court that hears cases concerning market law, competition law, public procurement and civil intellectual property rights throughout Finland.